Alarwool is an expanding company in constant evolution day after day, thanks to the constant innovation of its product offer, always thinking in our customers needs. 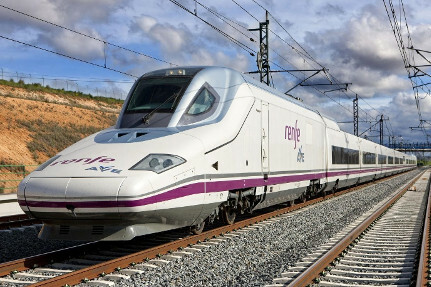 In 2018, Alarwool entered the railway market, with the addition of two large groups, Renfe and Siemens, as well as the company MP Yacht specialized in luxury trains and yachts. 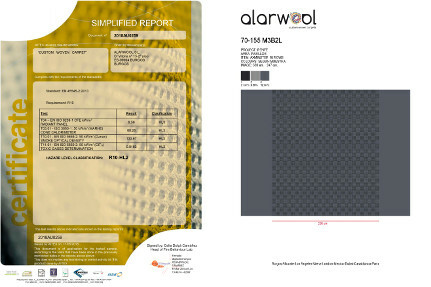 Alarwool is one of the few companies in Europe that has specialized products to withstand the intense traffic of this type of vehicle and also accomplish with the stringent safety legislation (EN 45545-2:2013+A1:2015) including ISO 9239-1 CFE, ISO 5660-1, and ISO 5659-2 being the final level classification R10-HL2. to support the high passengers’ traffic on their corridors. running in Middle East and that are inspiredin in the oriental architecture.